Black Friday + Thanksgiving Day & Cyber Monday! 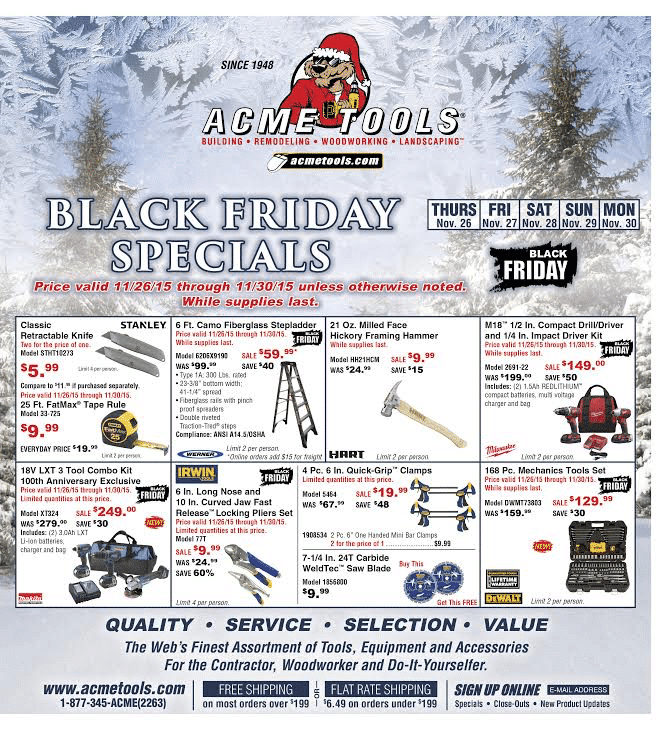 We were given a scanned copy of the Acme Tools Black Friday ads and are very pleased to share them with our readers. It’s exciting to see that this will be a 5-day sale overall with most items specially-priced from November 26-30, 2015 — Thanksgiving Day to Black Friday and on through Cyber Monday! 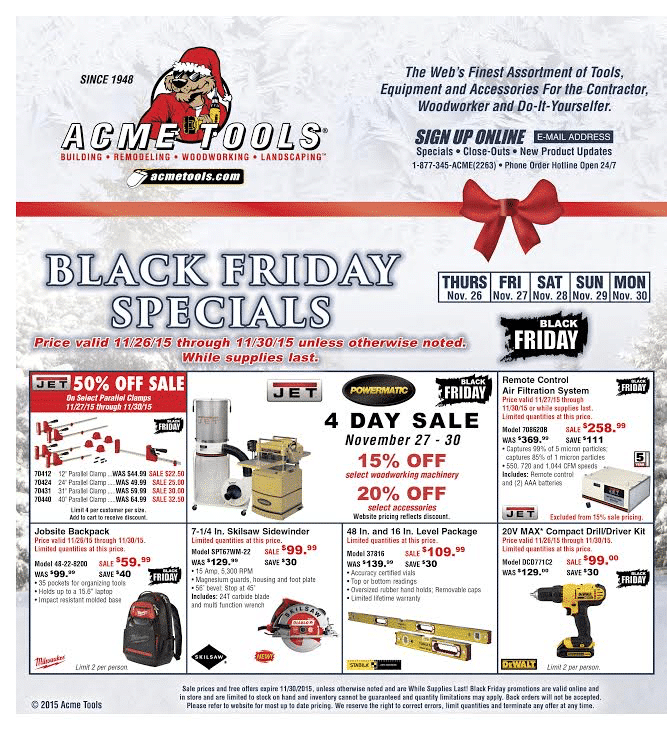 Some brand-name tools will be 50% off and others will be discounted heavily so be sure to shop Acme Tools during Black Friday. 100th anniversary exclusive pricing on Makita 18V LXT 3-tool combo kit! Plus see below for Acme Tools coupons and free shipping options! Please also note that we have several Acme Tools coupon codes and promotions available as well. For the next few days, some of these are valid on popular tool brands like DeWalt, Stanley, Dremel, and Porter Cable. Quick Tip — You’ll get free shipping on most Acme Tools orders when your order total exceeds $199.